Sabaa Tahir Book Tour Experience! So...I had the chance to meet Sabaa Tahir this past week on Tuesday as part of her Reaper Tour. It was amazing and I loved every second of the event! It was definitely worth driving 3 hours there and 3 hours back through rainstorms to be able to meet her! Since I didn't film the event, I'm just going to talk about it because I love hearing about other people's author experiences and I can't wait to share another of mine! It started weeks ago when Sabaa announced her Reaper tour. Luckily enough for me, there were two both within 3-3.5 hours away from me (the closest any book signings will probably ever be to my city). I immediately sent the dates to my best friends. One of them ended up being in Florida this week but the other was available to go! She asked off work, I let my family know that I was going, and we started planning. Fast forward to the day of. My friend, Lexi, came over a few hours before we were going to leave. We wanted to hang out and such before we had to get into a car. Mostly that just meant watching AP Bio on Hulu and messing around. Come 3 pm, we left with plenty of time to make it to the signing. With us we had hummus and pretzels, edible cookie dough, and homemade chex mix as well as plenty of beverages. We arrived in St. Louis, MO an hour before the signing started, found parking in a lot, and started watching Wonder Woman and eating the rest of our snacks. About half an hour before the signing started, we walked the two minutes to the bookstore. It was located in this really pretty area of St. Louis that I would have loved to explore had we not been on a time limit and had it not bee raining. We went in, I purchased my friend's (the one who was in Florida) book for her, and we took our seats. Lexi's friend also showed up to hang out with her since they hadn't seen each other in a while. It was nice to finally meet him after hearing nothing but great things about him. So then we sat for a while. My back started hurting in the weird folding chairs because I'm just a walking injury at this point but I powered through. When Sabaa got there, things started taking off. She talked a lot about her writing process and gave advice as well as talked about her characters and story. I am both excited and scared to finally read Reaper. After the closed discussion with the moderator, she started doing trivia. Well, she asked questions and if the person didn't know it then she whispered the answer. It was hilarious. She gave away a bunch of things including Ember swag and even a Wildcard arc! Then fans were able to ask questions and some of them were hilarious. Honestly, Sabaa is just such an amazing and funny person. I think she's my soul animal if I'm being honest. Plus, her phone case is goals! When the discussion, trivia, and questions finished, we all lined up for the signing. There were also some cute cakes and posters at the back for us. I grabbed one for me and one for my friend who couldn't make it, and had that poster get signed for her. Then we continued waiting. I had injured my back the day before so I wasn't supposed to be lifting more than 20 pounds by myself, so I'm curious to see how heavy my tote bag was (I was carrying 6 of Sabaa's--double copies of each--as well as one that I was reading, a camera, film, a water bottle, and a book sleeve). It was interesting to see if I could balance the entire stack as well. When we got up there, it was awesome talking to her. My friend and I went up almost at the same time and were chatting with her about book sleeves/subscription boxes, author friends, and even how Lexi and I were aspiring authors (Sabaa gave us high-fives--cue forever fangirling). She even signed my Fairyloot Ember-inspired book sleeve! After we finished talking to her, we wandered around the store wishing we could buy everything and waiting for the rain to let up just a bit. I ended up asking for a plastic bag to cover my books so that I didn't get all of them wet! Luckily, the books stayed dry somehow on our walk back to the car and then we were headed back home. I popped some Dramamine because I have debilitating motion sickness and managed to stay away for a little over an hour. We stopped at a gas station in a town that had a population less than my high school and got some unhealthy snacks and gas. I was able to stay awake for as long as I was eating something, but fell asleep almost immediately after that and didn't wake up until I was being dropped off at home. Overall, this was just such a fun experience for me. I had an amazing time with my best friend and meeting Sabaa. It's definitely an experience that I will cherish forever and I'm so grateful that I was able to go. The 6 hours of driving was definitely worth it, even if I was asleep for half of it. I can't wait to read Reaper and I just know that I'm going to love it! A huge thanks to Left Bank Books and Sabaa for throwing this event! Follow my Instagram here. New giveaway will be posted in late May! First off, I want to wish a very happy release to this amazing book! I am thrilled to be a part of the blog tour for this book and can't wait to share it with you all! It was a fun, binge-worthy read that was perfect for reading at the pool during my breaks at work and late at night when I'm sitting alone in my dark house! 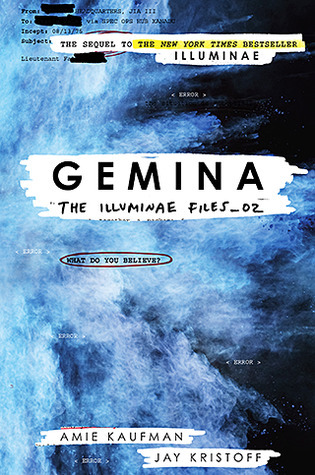 You can find ALL of Demetra's social media and connection links here as well as links for where to preorder her book from any retailer! There are also links to other goodies such as a Spotify playlist, the Pinterest inspiration board for this book, podcasts, excerpts, and more! Her Twitter is located here. And now we're on to my personal thoughts on the book! I will be posting a super in depth review later on in the week, but for now here are my main, spoiler-free thoughts! As I said before, I thought that this book was fun and binge-worthy. I went into this book knowing that the author had called it "Riverdale meets Mara Dyer" and "Teen Wolf meets E. Lockhart," which, if you know me at all, you know that Teen Wolf is my absolute favorite show. I went in with high expectations and I did not get disappointed. The writing style was so easy to follow and I never felt a disconnect because of the writing. I thought the characters were fun and multi-dimensional. I really connected with Theo because we do have some shared personal experiences and I liked seeing those portrayed. From the start of the book, I was in love with all of the puns that were used, especially between Chip and Theo. I loved their relationship in this book especially. Being a part of the swimming and diving community for over 8 years, I was both excited and skeptical about the competitive diving aspects of this book. I was pleased with how it was handled. Obviously, there were small things that just came down to wording that didn't match up with my experiences, but the overall portrayal of diving and swimming was very well done. This is definitely a book that pulls you in. 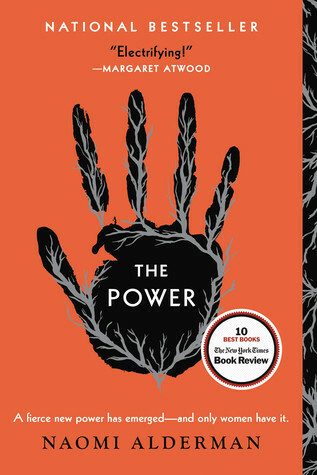 I was very happy with it and I enjoyed how it went from an average high-school novel into a twisting psychological thriller. I can honestly say that this is one of the best thrillers I've read in a long time. Hardcover copy of DIVE SMACK by Demetra Brodsky & Prize pack of necklace, bracelet, signed bookmark, & signed book plate! US only, ends 6/26. Thank you all so much for reading! I hope you enjoyed this blog tour stop! If you would like to continue following this tour, you can find the schedule here! Hello everyone! 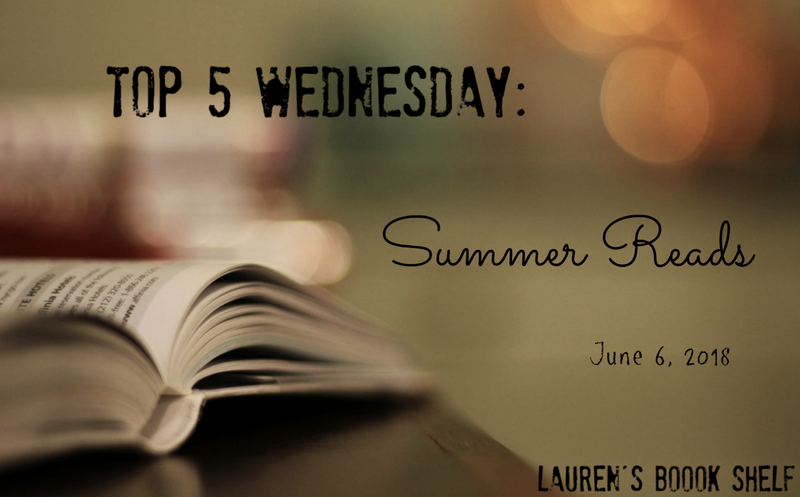 Today we are back with another Top 5 Wednesday! This week's theme is Summer Reads. For me, I'm going to be recommending some books that I think would be cute or fun summer reads that you can take to the pool or the beach or even just to your couch! I tried to pick from different genres so that there's enough variety for everyone while also sharing some of my favorite books! So, these are really in no particular order this month just because I'm recommending 5 books that would be fun to read over the summer. I decided to go with a mix of contemporary, fantasy, sci-fi, middle-grade, and thriller. So without further ado, here are 5 of my summer reading recommendations! 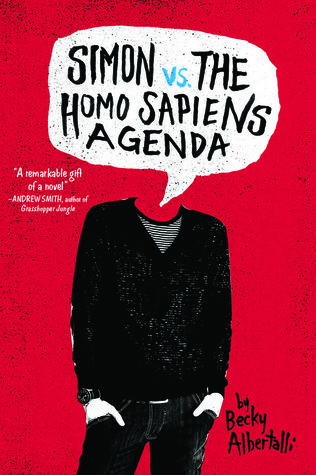 In the contemporary category, I decided to go with Simon vs the Homo Sapiens Agenda by Becky Albertalli just because I love this book so much. I read it a little bit before the movie--Love, Simon--released and fell in love. It's such an amazing coming-of-age story with awesome LGBTQ+ rep and more! I might even reread it soon! 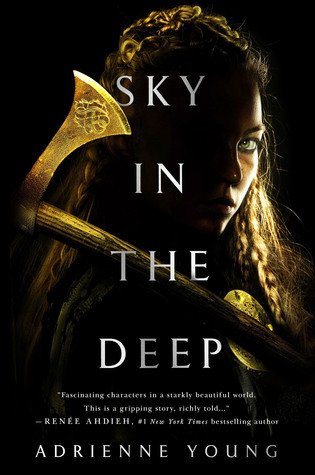 The next book I'm recommending is a fantasy: Sky in the Deep by Adrienne Young. I read this book in one sitting and absolutely loved it. It's a stunning new release about vikings and enemies. I really enjoyed it and I think it'd be a quick, fun read that you can finish sitting by the pool or in a hammock. neighbors are aliens. Adventure, romance, and a lot of sass ensue! 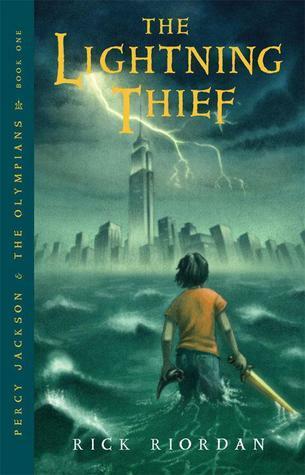 Next, I have The Lightning Thief by Rick Riordan, the first book in the Percy Jackson series. This is one of my favorite middle-grade series ever and it's such a great story. If you don't know what it is about, it's about a boy named Percy who discovers that he's a demigod--the son of a mortal woman and Poseidon. It's a fun story that spans across many books so there's plenty for you to enjoy! 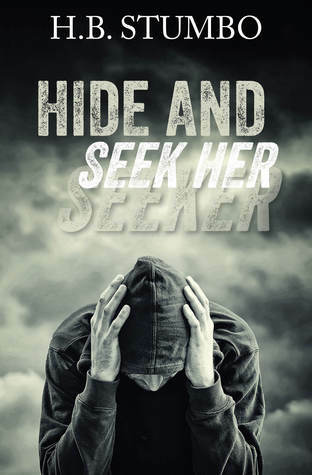 The last book I have is an adult thriller novel entitled Hide and Seek Her by H.B. Stumbo. It is the first in a yet unfinished trilogy and one of my favorite books. It was also the first book that I've ever read for review and it just really holds a special place in my heart. It's about a woman who is doing a landscape renovation for a rich household and starts to fall in love with one of the men there, yet her dark past starts to catch up to her. It was my first foray into thrillers and it was one of my favorite reads of that year. Plus, the sequel is fantastic! I hope you guys enjoy some of these books! They are all fantastic reads and I love them all dearly. So...I got a lot of books this month...37 to be exact. I'm super excited about all the books I got this month and I can't wait to share them with you all. First, though, I just want to say that I didn't buy all of these books. In fact, I didn't pay for 20 of these, and I used gift cards on 4 of these as well. It's not like I went absolutely overboard on buying these, and I'll explain a little bit in depth about each books as we go on. Let's just jump right in because we have a lot of books to talk about! Starting off with the physical books this month, I got 26 of them. Most of these were either free, I used a gift card, or I got at a very discounted price at my local used bookstore. Nonetheless, I'm super excited to have these in my hands. 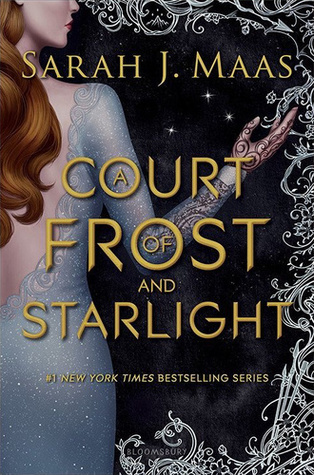 Firstly, I got two copies of A Court of Frost and Starlight in addition to the one I got last month. These two copies were the exclusive edition from Books-A-Million and a signed and personalized copy from Good Choice Reading. I'm very excited to have these in my hands because I absolutely love Sarah's writing and this series. It is my goal to have at least one of my multiple copies of each book by her to be signed. I already read this book as well and you can find my review here. Below you can find the fan-art that was included in the exclusive edition! The next book I got was Just One Day by Gayle Forman. I got this book through a promotion from Penguin Random House. Essentially, you could either preorder her newest book and submit proof of that or you could mail a postcard in and get a free book. I mailed a post card in and chose Just One Day as my free book because the other option was If I Stay, which I already own. I don't know when/if I'll get to this book but I am excited to add it to my collection. The next book I received was from Razorbill through a BookishFirst promotion. 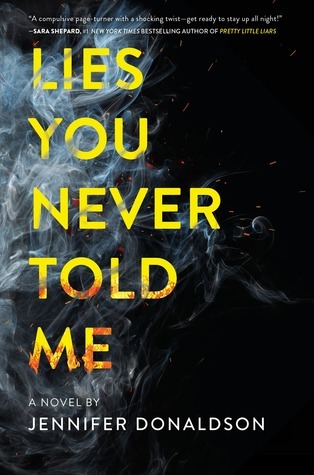 It was an arc of Lies You Never Told Me by Jennifer Donaldson. This is a YA thriller/suspense novel set in a high school in Texas. I have already read it and you can find my review here. I have also traded this book on Twitter for a different arc already, but I still wanted to include it in this haul. The next two books I have are from a trip to my local used bookstore. The first one is Into the Wild and the second is Fire and Ice, both by Erin Hunter. Erin Hunter is actually a pen name for a plethora of authors writing these stories. These are the first two books in one of the first book series I ever read: Warriors. These books helped me form a lot of friendships with people when I was younger and I still remember being 8 years old and acting out scenes from the book with my friends at summer camp. I was able to get these really cheap from my used bookstore because they run a system where if you bring in books that they don't have multiple copies of already, you can get in-store credit that can be used for up to 50% off of your order. The same system was used in purchasing this next book: an arc of Blood for Blood by Ryan Graudin. Now, before I get crucified for purchasing an arc, I do want to talk about my personal policies on buying/selling arcs. Firstly, I didn't know this was an arc until I got home and saw that it was more than just a paperback, so I am going to claim ignorance on this. Secondly, my buying this used arc is not taking away from sales to the author. I plan on buying the hardcover at some point because I have the first book in HC. 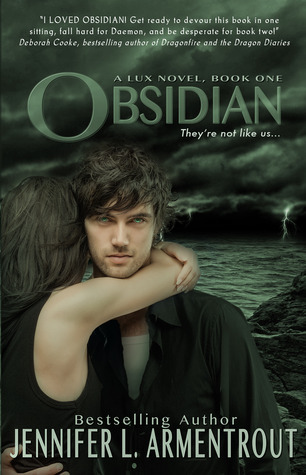 As with any used book sold at a secondhand store, the author does not make a additional profit apart from the initial sale of the book, so Ryan Graudin would not have made a profit from this book even if it wasn't an arc. Also, this book has been out for at least a year and a half and I feel like that is enough time to publicize it and make profits off of it. At this point, it is more of a collector's item than a publicity tool. I just wanted to throw those points out there to justify me purchasing this arc on accident. However, if a book has not been out for more than a year, I do not personally buy an arc of that book, and if a book is not published at all, I do not support buying an arc under any circumstances. Thank you for listening to this rant before I got into my thoughts on this book. I really think I'm going to like the first one, so I wanted to have the second one on backup for when I finish the first. The next book I got was my signed preorder of Sky in the Deep by Adrienne Young from Good Choice Reading. I knew that when I read Sky at the end of March/beginning of April that I was going to love it. After finishing the book, I knew I had to jump on the chance to get a personalized copy because I don't know if/when Adrienne will be on tour near me. If you want to know my thoughts on this book, you can find my review here. The next book I got was from the Fierce Reads tour and it was The Outcast by Taran Matharu. was able to bring my other Taran books as well to get signed and now I have 4 hardcovers and 1 arc signed by him. It was really an amazing experience and you can find more of my thoughts as well as pictures in this post. The next book I got at the Fierce Reads tour was I Believe in a Thing Called Love by Maurene Goo. Let me just start by saying that Maurene is such a gem and I can't wait to read this book. Really all I know about it at this point is that it involves k-dramas and romance. I'm excited to possibly read this book this summer while I'm laying out by the pool! The next five books I have are all from a dear friend of mine. She was moving and had to get rid of books, but didn't want to give them to our local used bookstore because they only offer in-store credit and she wouldn't be able to use them again. So she gave me a bunch and one of my other friends a bunch and I'm so grateful for her amazingness. The first book she gave me was the B&N edition of One Dark Throne by Kendare Blake. I haven't read the first book in this trilogy, but I have been wanting to for a while and I'm glad to have this in my hands for when I finally do. The second book she gave me was The Shadow Queen by C.J. Redwine. I've seen a lot about this book since it was released a while ago and I've always held somewhat of an interest in it, but not enough to prioritize buying it over something else. Therefore, I'm, again, super grateful that my friend gave it to me so that I can finally see what the hype is about. The third book she gave me was Beyonders: A World Without Heroes by Brandon Mull. I love Brandon's Fablehaven series and I've been interested in this one for a while now but haven't taken the plunge yet. So I obviously was very excited to see this book in the stack of ones she was willing to giveaway. The fourth book I got from her was Fang by James Patterson. I have been wanting to reread and continue on with the Maximum Ride series for a while now and I am grateful to have this book in my hands when I decide to do so! The last book she gave me was Every Day by David Levithan. The only thing I know about this book was that it was recently turned into a movie and is about a character who wakes up in a different body every day. It sounds interesting and I think it could be a good read, so maybe I'll get to it this summer. The next book I got was sent to me by Smith Publicity and that is a copy of Red Agenda by Cameron Poe. I don't know much about this book other than it's a historical/political suspense novel, which I've actually never read before. I'm interested in the premise, though, and thought I'd give this book a shot! The next two books are, again, from my local used bookstore. I used the same credit system to purchase these as well, so it was a really cheap trip for me. The first one that I got was Sweet Evil by Wendy Higgins. This book has been on my wishlist for years now after one of my high-school friends recommended it to me. I don't know much about it other than there are some form of angels? I've been interested in reading it for a while now, though, so I'm excited to have it in my hands. Hopefully I'll get to it soon. The second book I got at my used bookstore on that trip was The Retribution of Mara Dyer by Michelle Hodkin. I have the first book in this trilogy and I've heard nothing but amazing things, so when I saw this hardcover in almost pristine condition, I knew I couldn't pass it up for only $5. Plus, when I got home, I saw that it was signed and the deal was even better then. The next book I got was an arc of Widows by Lynda La Plante that was sent to me by the publisher. It's interesting because this book has been out in the UK for 35 years but is only just now releasing this summer in the US. Either way, I love the cover and the premise sounds super interesting so I will definitely be giving this book a good read through this summer, most likely while sitting by the pool. After that, I got some surprise book mail! I had won a giveaway for a tank top in a reader's group that I'm in on Facebook. I totally forgot about it and when it showed up, there was actually more in the package than just the t-shirt. The note that accompanied it apologized for the delay and said that the author threw in a few extra goodies, which was just so thoughtful and amazing. The book was one of the extra goodies along with a bunch of signed swag. 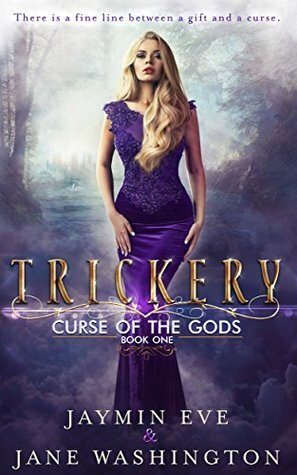 Anyway, the book that I got from the author was a signed copy of Trickery by Jaymin Eve and Jane Washington. I had this book already so I decided to give my unsigned copy to a friend and keep this one for myself. I've been dying to get my hands on a signed copy and it was such a pleasant surprise when this showed up! Next, I have three books that my grandma bought me from Books-A-Million. I'm so grateful to have such an amazing grandma and I'm beyond excited for the books that I got. The first one I got was Batman: Nightwalker by Marie Lu. This is the second in the DC Icons series and I figured that I needed to get this one before the third. Plus, I wanted to make sure I had the edition with the poster so that I could make the mega-poster when the rest of the books get published. I can't wait to read this book and the cover is just stunning! The second book she got me was The Song of Achilles by Madeline Miller. I've heard nothing but amazing things from Lauren over at dontbrekkarmyheart on Instagram. She raves about it all the time and after seeing how much she loves it, I had been dying to get my hands on a copy. I was thrilled when they had it at the bookstore. While I also want to read Circe, I want to read this one more and I didn't want to overload my haul pile. And the last book my grandma got me was LIFEL1K3 by Jay Kristoff. I realized after we left the bookstore that the book wasn't actually supposed to go on sale until May 29th, so I do feel a little bad for buying it before on-sale. However, I've been dying to get my hands on this book and I wasn't going to be able to get it until July otherwise. I can't wait to read this in the upcoming month and I just know that I'm going to love it! The next book I got was from an arc trade on Twitter, and that was Escaping From Houdini by Kerri Maniscalco. This is probably one of the most exciting books in this entire haul because of how long I've been actively trying to get my hands on it! I was finally able to find someone who was willing to trade it with me! It's so gorgeous and I can't wait to read it! Then I finally got my finished copy of Furyborn by Claire Legrand from Books of Wonder. It was a week after publication date when I finally got it, but as I had already read the book, it wasn't as bad of a wait. Still, I'm ecstatic to finally have this finished book in my hands! It's so gorgeous and I was able to get a signed copy through BOW! You can also find my review here! The final (physical) book I got this month was Rise of the Superheroes by David Tosh. This was one that I got from BookishFirst to review and I think that it's pretty cool. I'm not sure that it's 100% my thing but it is a nice book that I'm interested to flip through sometime. That was all 26 physical books I got this month! Now onto the ebooks! I got 7 ebooks this month, and five of them were a part of a box set. All in all, I paid under $6 for all of these which is pretty good considering how many I got. 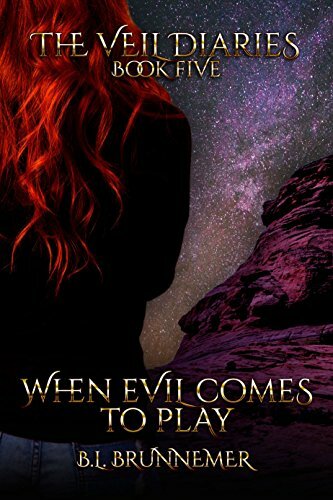 The first ebook that I got this month was When Evil Comes to Play by B.L. Brunnemer. This is the 5th book in the Veil Diaries series that I absolutely adore. I read this book almost immediately and fell in love. It was such a good installment in the series and just made me that much more excited for the next one! 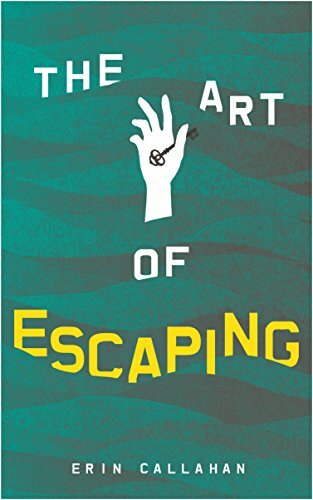 The second ebook I picked up was an arc of The Art of Escaping by Erin Callahan. I honestly forgot what this book was about but I know that it had an interesting synopsis. I was provided this arc by BookishFirst and I'll be reading and reviewing it very soon! Lastly, I picked up a 5-book bundle by C.L. 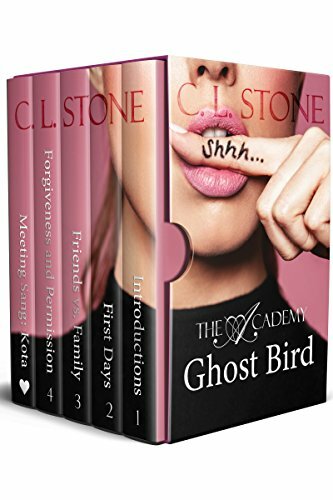 Stone of the first four books in the Ghost Bird series and a novella. I love this series and, while I've read all the books and own a few of them already, the books on their own are about $5 each but this bundle was only $0.99 so I knew that I had to get it so that I could have the two books I didn't already have without having to spend $10. I also got 4 audiobooks this month. I'm on an Audible discount for three months and I had credits to use. Then my friend wanted two audiobooks and we share an account, so we got two more on top of the first two. I actually still have a credit to spend so if you have any recommendations on what to get, let me know in the comments below! 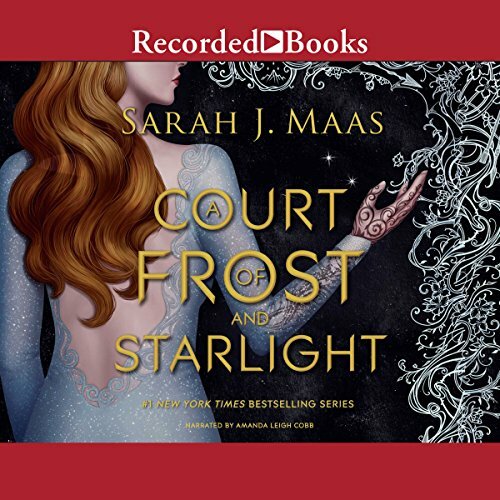 I also picked up the A Court of Frost and Starlight audiobook. I love Sarah's novels and I own all of them in audiobook format. Plus, this one is shorter than the rest so it was already a lot cheaper, and I ended up preordering it during a 60% off sale. In the end, it ended up being cheaper than the actual book. I can't wait to listen to this audiobook and cry a lot. 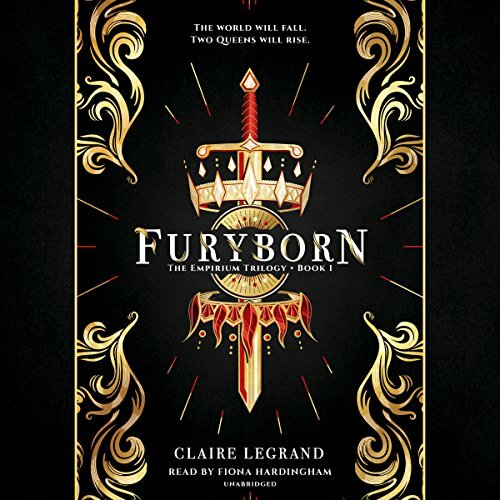 Then I used my Audible credit this month to get Furyborn by Claire Legrand in audiobook. I loved this book so much and when I heard the sneak preview of the audiobook, I knew that I had to have it. The narrator sounds amazing and I can't wait to hear Simon's parts! 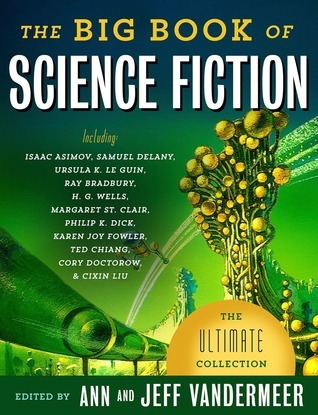 The first audiobook my friend wanted was When to Fear the Living by B.L. Brunnemer. I've had this book on my wishlist for a very long time and I'm thrilled to finally add it to our collection. This is one of my favorite book series and I can't wait to listen to the audiobook! 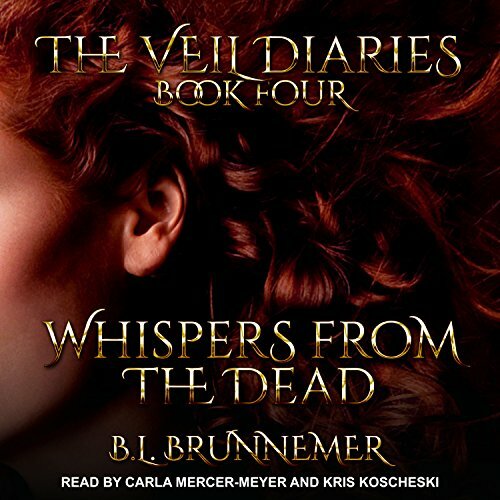 The last audiobook I got was, again, what my friend wanted and it was Whispers from the Dead by B.L. 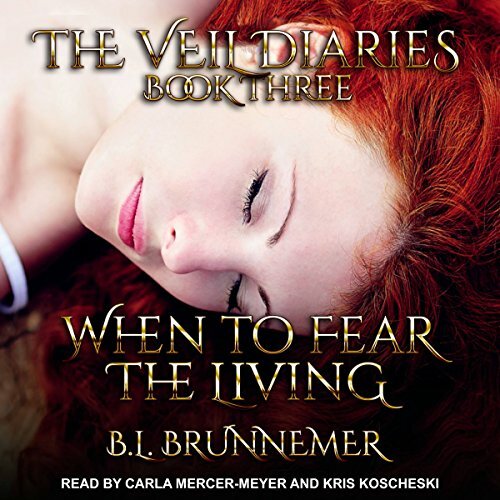 Brunnemer, the next book after When to Fear the Living. I'm, again, thrilled to add it to our collection and I can't wait to listen to it! Thanks for reading! I hope you enjoyed this haul! Stay tuned for some awesome content coming later this month! Also, if there's anything you'd like to see me discuss or talk about, let me know in the comments below! Wow. We're already into June. This year is almost half over and it feels like it just started! Aside from all of that weirdness, May was a fantastic reading month for me. I managed to finish reading 10 books in the month of May! TEN! Despite finals and amazing movie releases and binging TV shows and so much more, I managed to read ten books. I am super thrilled with this number, especially considering it's the biggest wrap-up that I've had all year! I'm only hoping that this pace continues throughout the rest of the summer because I am way behind on my reading challenge! Let's go ahead and jump right into my May wrap-up! Rereading this book was so much fun. I honestly love every second that I spend immersed in SJM books and this time was no exception. I remembered quite a bit from this book, but it was the little details that I had forgotten that made me love it even more than when I first read it. And despite knowing the ending of this book and what happened, I did end up crying a lot during this book. I think that was destined to happen. If I don't cry at least once during a SJM book then I have failed. I read stories from this book over the course of the entire semester for one of my writing classes. I find it hard to give anthologies ratings because they're made up of other stories, so I'm going to leave this one with a neutral rating. I have no strong opinions on this book other than I liked some stories and didn't care for others. I read this book for my creative writing class over the course of the semester and I figured that since I did spend so much time reading it, I deserved to be able to put it in a wrap-up. 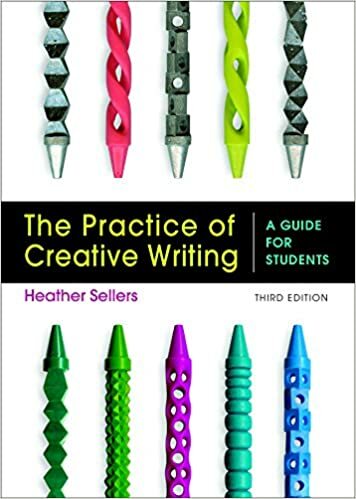 I thought this book was a great resource for me as an aspiring writer and I highly recommend it. This is another reread that I absolutely loved. It had been almost two years since I last read this book (in ARC format where a lot of finished artwork was missing) and I loved it so much more than the first time around. I fell head-over-heels in love with these characters yet again and I found myself almost falling for plot twists a second time around! That's a true testament to the amazingness of these authors if I can fall for a plot twist twice. Oh this was such a fun reread. I love this series and these books so much and this reread was no exception. I was dumb, of course, and started rereading it at 9pm and ended up staying up well into the night to finish it despite having to wake up at 7 am the next day. The things I do for the books I love... But I did love rereading this one and I'm already on to a reread of the second one! Let's Talk: "When Evil Comes to Play" by B.L. Brunnemer Book Review! 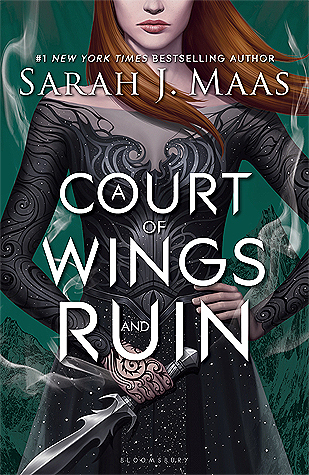 Let's Talk: "A Court of Frost and Starlight" by Sarah J. Maas Book Review! Let's Talk: "Furyborn" by Claire Legrand Book Review! Fierce Reads 2018 Tour Experience! 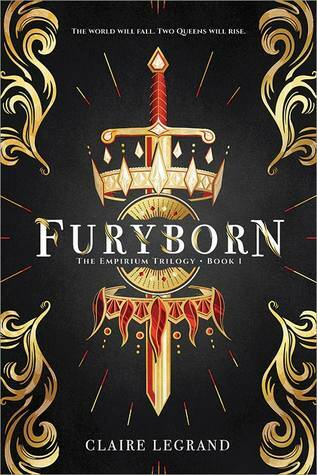 15 Thoughts While Reading "Furyborn" by Claire Legrand! Let's Talk: "Lies You Never Told Me" by Jennifer Donaldson Book Review! 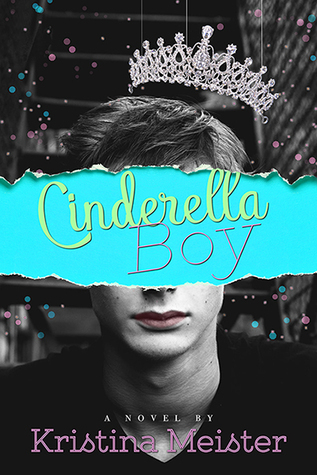 Let's Talk: "Cinderella Boy" by Kristina Meister Book Review! I logged a lot of screen time this month...I think it's even more impressive when you consider just how much I watched on top of how much I read. I finished three TV seasons and watched five new movies! 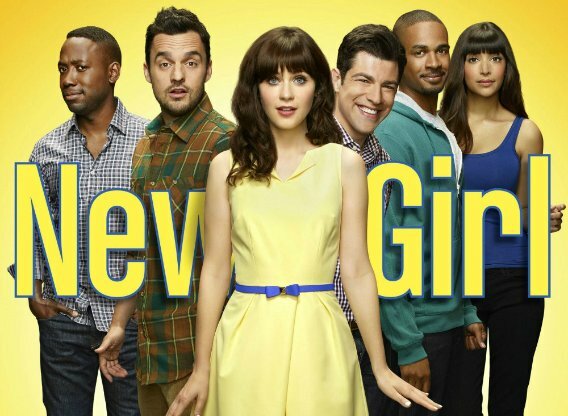 The first tv show that I finished this month was season 1 of New Girl. I started rewatching it in April and fell back in love. It came as no surprise to me when I was binging one day and noticed that I was already in season 2. What can I say? This show is amazing. I also finally watched Thor: Ragnarok! It came out so many months ago and I finally got around to watching it now that my family owns all the Marvel movies. I loved it. It was hilarious and just awesome. Was it my favorite Marvel movie? No. But was it badass and amazing? Yes! 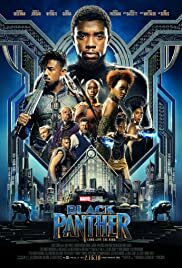 I then watched Black Panther finally since I didn't get a chance to see it in theaters. I absolutely loved it! It was so much better than all the hype let me to believe (which is saying something considering how much people rave about this movie) and I've already rewatched it. 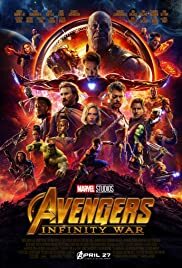 The characters were hilarious and engaging and I do believe that this is one of my favorite Marvel movies ever (definitely in the top 3). And then, of course, I saw Avengers: Infinity War. Was it my favorite Avengers movie? No. Did I love it and sob in an empty theater? Why yes, yes I did. I don't want to spoil anything because I know some people might not have seen it yet, but I cried so hard. I was crying on the drive home. If you've seen the movie...you know why. 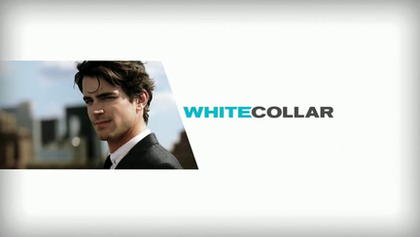 Then I finished season 3 of White Collar. When nobody is home and you're eating lunch alone, you naturally put on Netflix. I love this show so much and it's been a staple of my family for quite a long time, but I hadn't seen every episode past the end of season 3. I knew I wanted to rewatch it and then continue on so I can finally watch the rest of this amazing show! I then watched The Kissing Booth, which I absolutely adored. Was it the deepest, best movie I've ever seen? No. But I thought it was cute and it was a teen-movie that I didn't hate? It was such a fun ride and I really enjoyed the movie. Then I finally was able to watch Love, Simon and boy did I cry. It was SO GOOD! I read the book and it's one of my favorite books of this year, but I swear I loved the movie even more! It was so cute and amazing and so, so important. And then I finished season 5 of Brooklyn Nine Nine and THAT ENDING WAS SO MEAN! How could they leave us on such a big cliffhanger? NOT NICE! But overall, I loved it. It was one of my favorite episodes for sure and now I'm left wanting to go back and rewatch the entire series from episode 1. I'm thrilled that this show was picked up by a different network after Fox cancelled it because this series is so important and amazing. Not only did I read and watch a lot this month, but there were a bunch of exciting events that happened. Most notably, I had finals and finished my freshman year of college this month! I can't believe how fast it went by! I swear I was just yesterday moving in to my dorm and going off to my first orientation event. This year was amazing and I couldn't have asked for a better freshman year or for better friends! You can read my Freshman Year Wrap-Up here. When I got home, my friend and I kicked summer off right with going to one of the Fierce Reads Tour stops. We got to meet a bunch of amazing authors and I got so many books signed. I did write an entire post about the tour experience which you can find here, but overall I'm thrilled that that was my first real book signing event outside of BookCon! Lastly, I moved back home. I've been spending a lot of time with my niece and friends. My summer job also started up last week, which I'm super thrilled for. If you don't know, I'm heading into my fourth year of lifeguarding and I couldn't be happier. I have awesome coworkers and an amazing place that I work at. All I can say is bring on the tan and chlorine! Thanks for reading! Stay tuned for my May Book Haul coming soon as well as new reviews and book tags!